Situated in peaceful, relaxing surroundings you can enjoy panoramic harbour views. 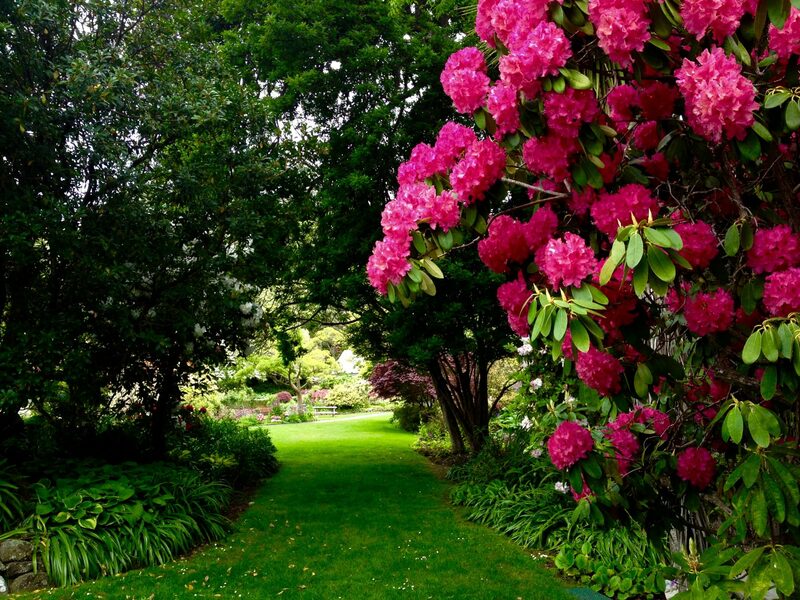 Stroll among the rhododendrons, azaleas, magnolias, fuchsias and a profusion of other flower species which integrate with native ferns, exotic imports and indigenous New Zealand trees to showcase 140 years of conservation and expansion of our botanical heritage. 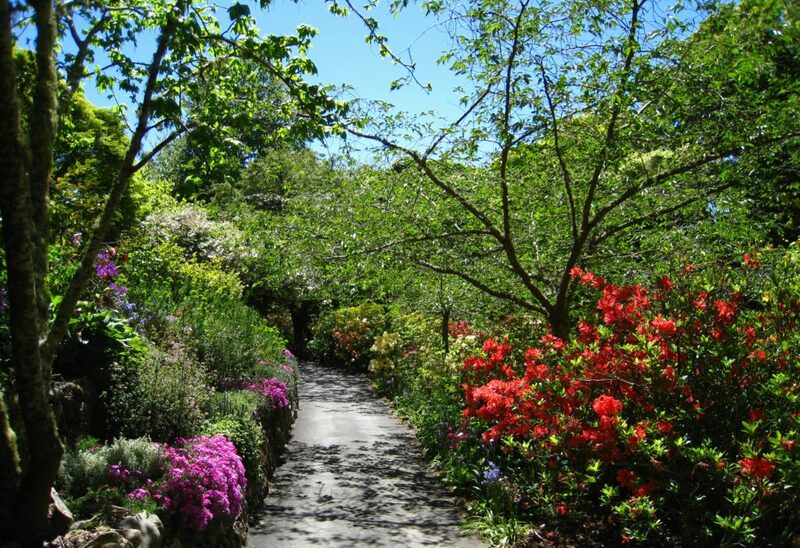 Glenfalloch Garden is definitely a four season garden with each season bringing its own special array of colours and fragrances. 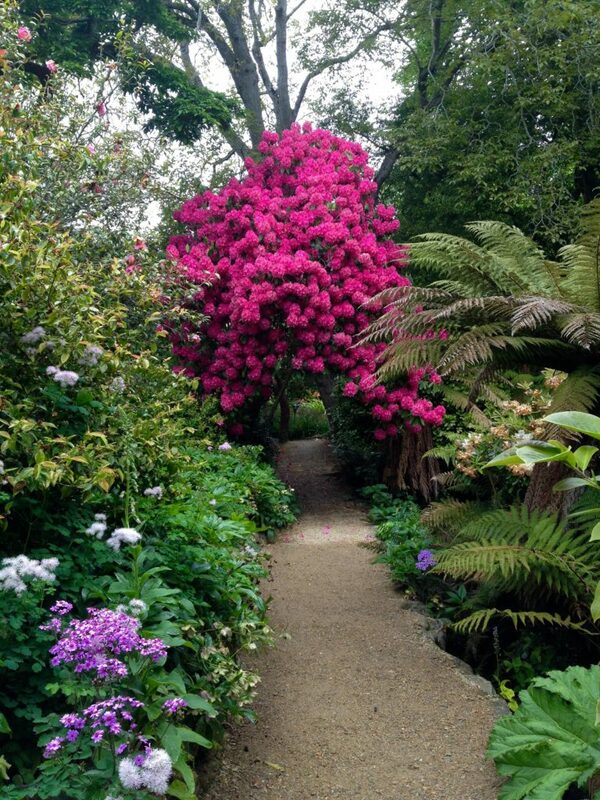 Please note some paths in the upper garden are closed due to slip related damage and ongoing work. 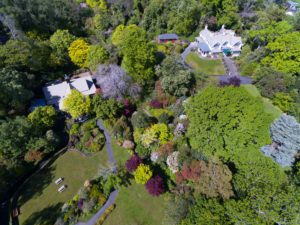 The Glenfalloch Garden and Chalet Restaurant is owned and operated by the Otago Peninsula Trust, a charitable trust, whose objective is the protection and enhancement of the Otago Peninsula. The trust offers membership packages to individuals, businesses and community groups – the money raised from membership fees is used to ensure the objectives of the Trust are met. 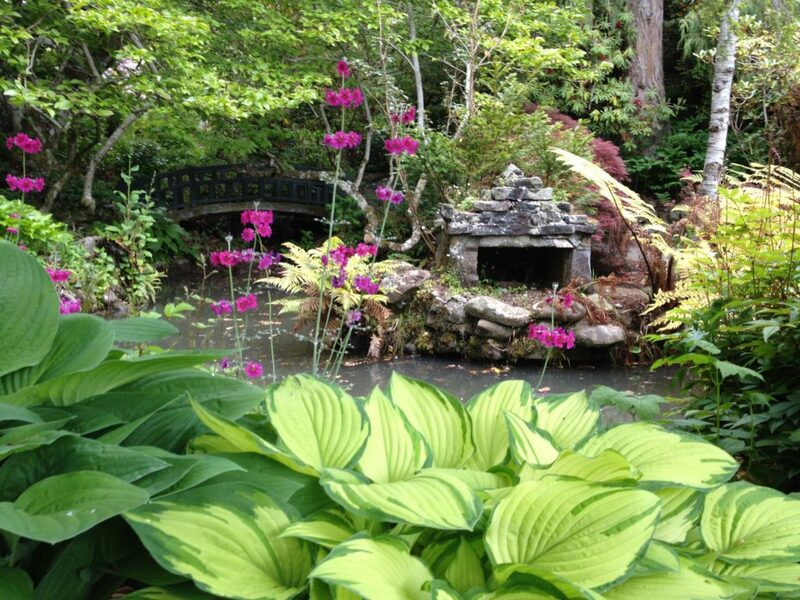 Members are able to access Glenfalloch free of charge, we ask that non-members use the honesty box at the entrance to help cover the on-going maintenance costs of all aspects of the gardens. Glenfalloch Garden is a very special garden saved by Otago Peninsula Trust for Dunedin people and their visitors to enjoy.